Santa threw the bag in the sleigh, buckled his seatbelt, and yelled “Merry Christmas!” as he and his team took off into the night, flying all over the world like this. And leading the reindeer team was…. RUDOLPH! 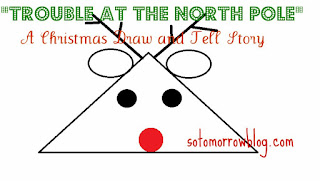 I'm providing a free PDF of Trouble at the North Pole with the words and drawing instructions. 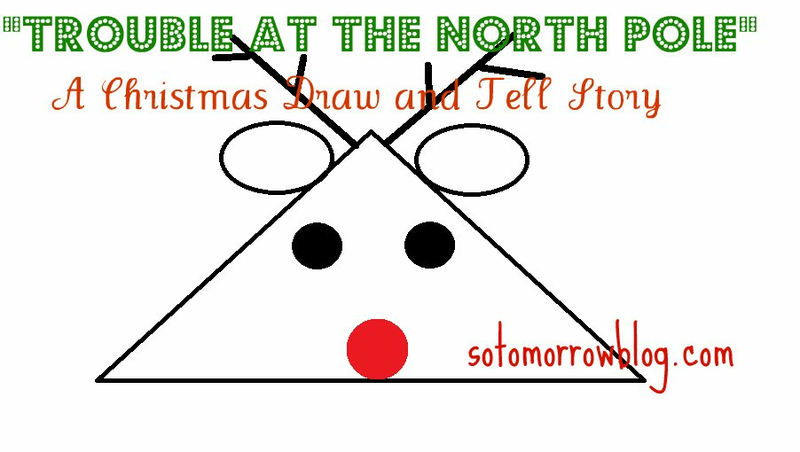 I'd love it if you included it in any of your programs or storytime plans, giving me credit, of course. Last year I shared Rudolph, Rudolph. Where can I see/find the "Flannel Friday"-ers?